In a move to protect public health, the Minnesota Board of Dentistry earlier this year considered following the example of 11 other states and establishing a system of inspections of dentists' offices. The proposed random inspections were to make sure the dentists and their staffs were following proper sanitary procedures. Minnesota's dentists strongly opposed the plan, and the board — a majority of whose members are dentists themselves — rejected it. At the same time, dentists on the board were sharply critical of an administrator who had supported the inspections. Minnesota dentists' offices are inspected by the state board only after someone files a complaint. That means dentists and their staffs are the only ones with the responsibility to ensure procedures are being followed to prevent infections. Failing to follow those procedures has consequences. 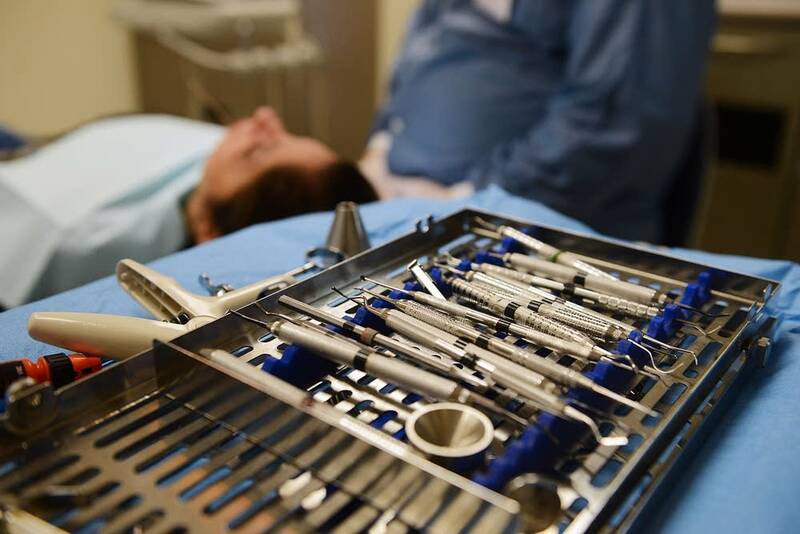 In 2013, more than 60 people contracted HIV and hepatitis after an oral surgeon in Oklahoma reused syringes and failed to regularly clean his instruments. The state shut down the office and revoked his license. When the Minnesota board rejected the proposed random inspections, "I was absolutely flabbergasted," said board member Jake Manahan at a January board meeting. "I couldn't imagine why the board did not adopt some sort of an inspection program." 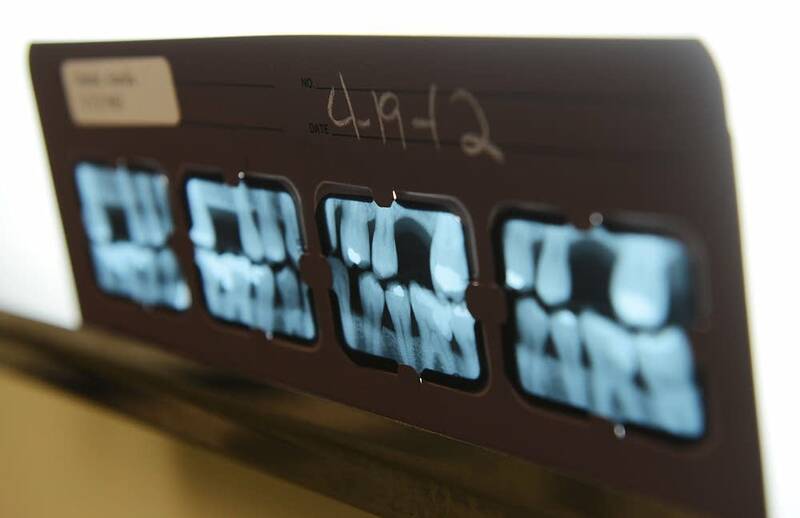 Manahan had proposed annual inspections of 3 percent of the state's roughly 4,000 dentists. "I don't think a patient is in a position to sufficiently ascertain whether or not a licensee is practicing legitimate infection control," he said. "It's too subtle." Manahan's measure faced stiff resistance from the five dentists on the nine-member board. Board President David Gesko, dental director at HealthPartners, opposed random inspections, calling them a solution in search of a problem. During the January meeting, Gesko said the plan would cost the state too much money. "As board members, we need to be stewards of the state and spend its money judiciously and in such a manner that it has the most value," he said. "Spending it in this way and creating staff and systems and processes and mileage to drive and do this, is not a good use of the state's resources." The motion's defeat came after several hours of debate. All five dentists on the board voted against it. The two citizen board members and two others, a dental assistant and a dental hygienist, voted for it. The vote was a victory for the Minnesota Dental Association, which had lobbied against random inspections. But the vote and the way some members treated the board's longtime executive director have at least one legislator concerned. Sen. Tony Lourey, DFL-Kerrick, chair of the Senate Health and Human Services Finance Committee, said he's worried dentists on the board are more concerned about protecting their interests than protecting the public. "I think that we do need to take a very close look at whether the dentists are voting as a block to avoid this random inspection," Lourey said. "We probably need to ask why. And ask whether this board is meeting their objective." Lourey said he may hold hearings on whether the board needs to be reconstituted to ensure that dentists can't block policy. He also expressed concern about how David Gesko and Neal Benjamin, a fellow dentist on the board, openly criticized the board's executive director, Marshall Shragg, who supported random inspections. At meetings in January and February, Gesko and Benjamin pushed to review Shragg's job performance in open meetings. Even after other board members expressed surprise and dismay about discussing Shragg's personnel records in public, Gesko continued to push for it. Citing concerns over confidentiality, the board eventually voted against holding the review in February. Benjamin didn't respond to repeated interview requests. Gesko, in an emailed reply to an interview request, wrote that the board decided not to order random inspections only after consulting several national experts. His email did not mention Marshall Shragg. Privately, there were signs they weren't happy with Shragg or anyone else supporting random inspections. In an email obtained by MPR News, Benjamin expressed his unhappiness with backers of random inspections. He wrote to a member of the Minnesota Dental Association that they should "gather and throw out the tyrants who might choose to build a punitive system of oppressive control rather than develop an ethical environment of discussion and support." Sen. Lourey said it looks as if dentists on the board retaliated against Shragg. "I do have some concerns," he said. "The sequence of events does look a little suspicious, but I try not to rush to judgment." Shragg left his position in April and declined to comment for this report. No member of the board would agree to an interview. A few cited board policy that only the board president and executive director can speak to reporters. Gesko's email said a task force has been formed to study the infection-control issue. One state that does conduct random dental office inspections is Ohio. Harry Kamdar, executive director of Ohio's Board of Dentistry, said Minnesota's board should consider the practice. "This is not just about protecting dentists," he said. "This is about protecting the public. That should be the first and foremost duty of the board." It's not clear when the Minnesota Dental Board task force will make recommendations about infection control. Correction (Oct. 30, 2015): An earlier version of this story incorrectly said a dental therapist voted for the plan. It was a dental assistant.